Rent Prospect | Corporate Events | Wedding Locations, Event Spaces and Party Venues. Prospect is a Modern New American restaurant in the Fort Greene neighborhood of Brooklyn. Chef’s Table: Overlooking the kitchen, 7 seats are available at our marble countertop Chef’s Table. These seats are available for both reservations (by phone or special request via reservations through our website) and walk-ins. 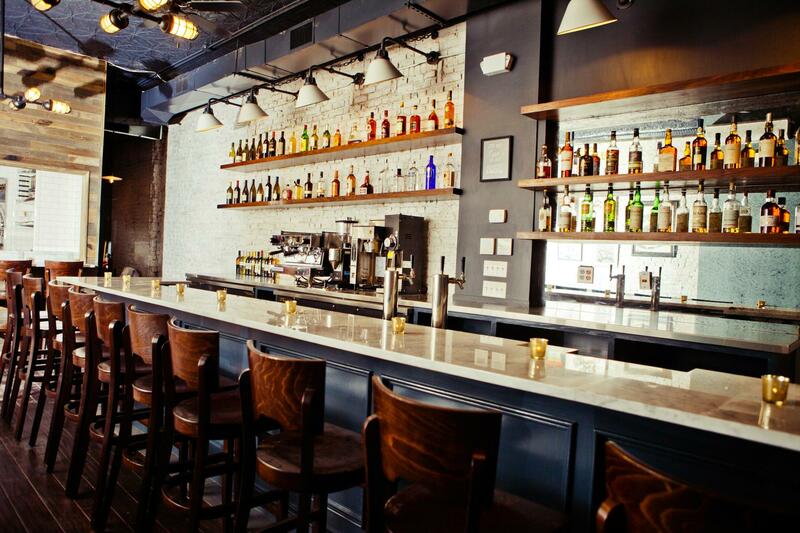 Bar: 14 seats at our marble bar are available for walk-ins. Dining Room: 20 seats are available in our dining room for both reservations (by phone or through our website) and walk-ins. We can accommodate parties of up to 14 people in the dining room with advanced notice.